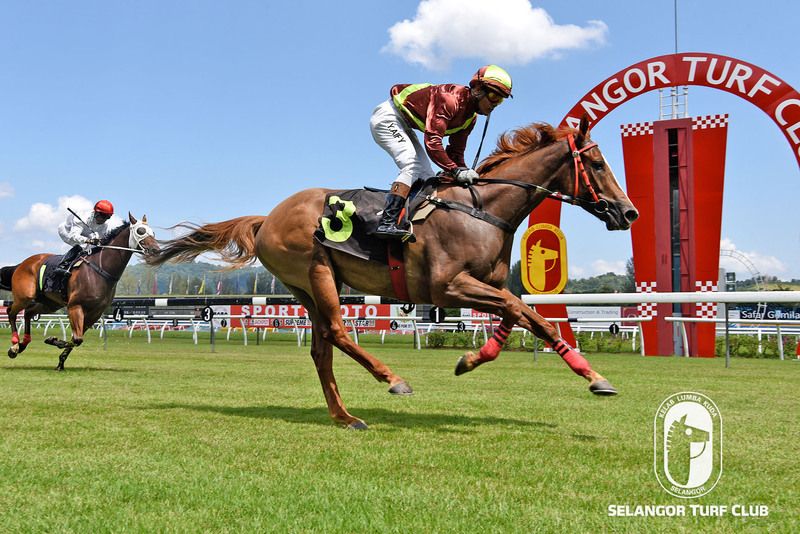 Trainer Lawson Moy’s promising galloper, Baadshah is still in mint condition for a back-to-back victory in a Class 4 (A) event over 1400m in Race 7 at Selangor Turf Club on Sunday. On the track today (Friday), the four-year-old by Jimmy Choux with a track rider, trotted one round on the inner sand track and proceeded to the main track and cantered strongly on the bit, looking a picture of fitness. Last start, Baadshah broke the ice in fine fashion beating Sun Coin in the Open Maiden event over 1300m at this course last month. Jockey Y Aify has been given the task to ride Baadshah once again and the pair looks set for another win. RACE 2: Goldhill Princess continued to impress, cantered twice. RACE 3: More Power looks well when cantering the first round and then was restrained to do pace work on the second round. RACE 8: Triple One Star also cantered and took it easy with a pace work on the second round. RACE 9: Arc Cara was given a trot and then cantered on a tight rein. RACE 10: Twobigtofail looks well when did two rounds canter on the bit. The going was good. All workouts were confined on the sand track.